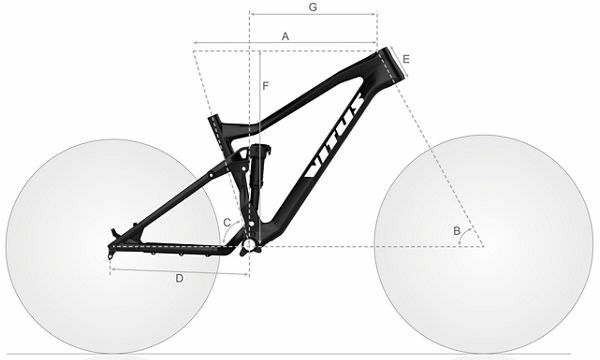 Lightweight and aggressively built to excel on the Enduro route, the Sommet is Vitus' dominator of the downhill. Alloy-built and equipped with precise and hard-working components, this race-ready ride will see you soar with confidence and control. Shaped with modern Enduro-centric geometry, the Sommet Mountain Bike is the ideal steed for tackling technical descents. The stiff and responsive build benefits from a phenomenal suspension system made up of a 170mm travel Manitou fork and 160mm travel Rockshox rear shock, as well as a SRAM NX 1x11 drivetrain and Shimano MT -500 hydraulic disc brakes. Rolling on wide WTB rims and Maxxis 3C tyres, it powers through every trail and terrain with ease on your way to the finish line. Also featuring Boost tubeless ready wheels, clearance for up to 2.6" wide tyres, and ISCG 05 chainguide mounts, this is an adventurous and dependable Enduro racer from top to bottom. Vitus Sommet Mountain Bike (NX - 2019) is rated 5.0 out of 5 by 1.